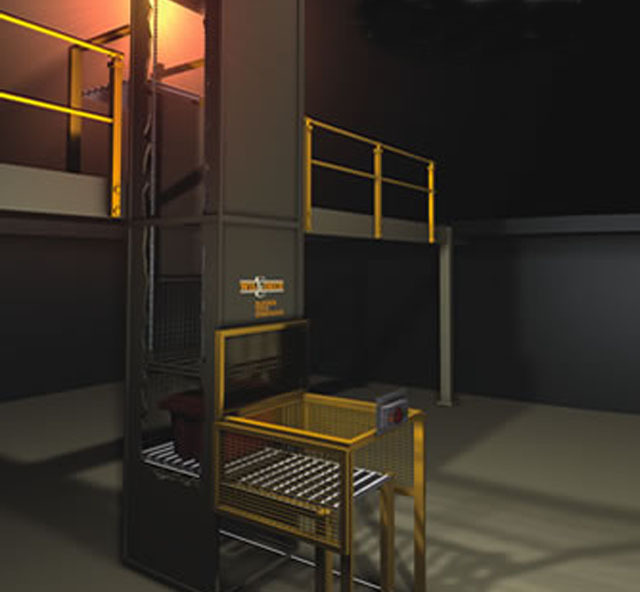 A Wildeck® Automated Tote Lift is an ideal solution for quickly and safely moving parts and material in totes, boxes, or carriers to another level. What would typically take multiple trips up and down stairs can be accomplished with the push of a button. 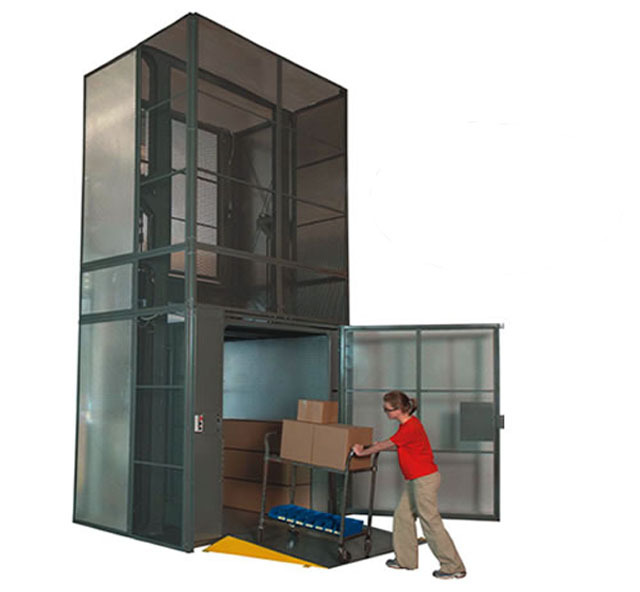 The Lift easily integrates into your conveyor system and features a modular design that delivers safe, reliable functionality. 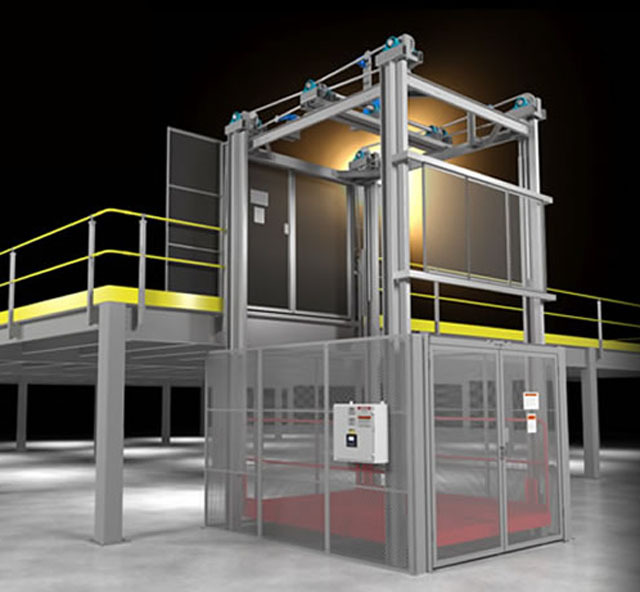 Whether it is a small mezzanine loading system with several “queue” sections, or a full blown conveyor system that needs loads moved up and out of the way – the Wildeck Automated Tote Lift is an ideal solution for your vertical movement needs. 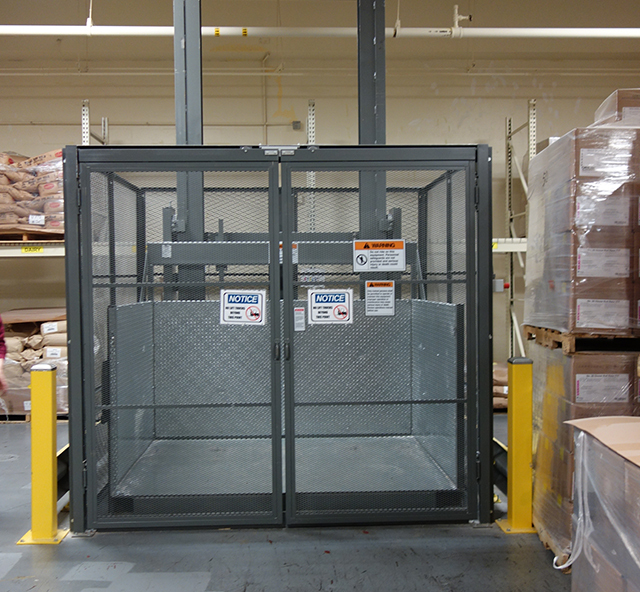 Lift Capacity: 50 to 75 lbs. 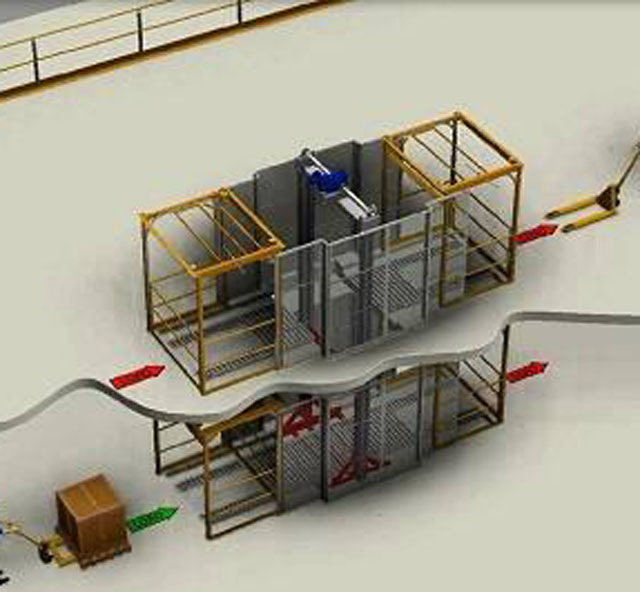 Conveyors are powered roller type. Horizontal speeds: 30 to 110 fpm. 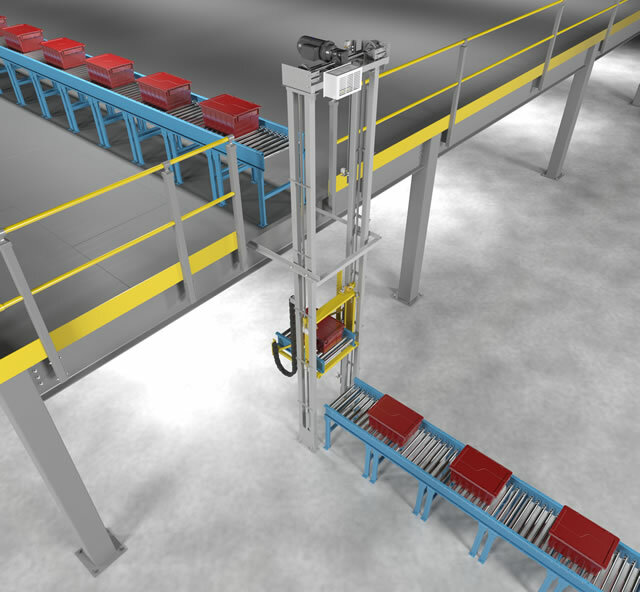 A Automated Tote Lift is typically shipped on a flatbed via LTL - Common Carrier. Other shipping options are available. 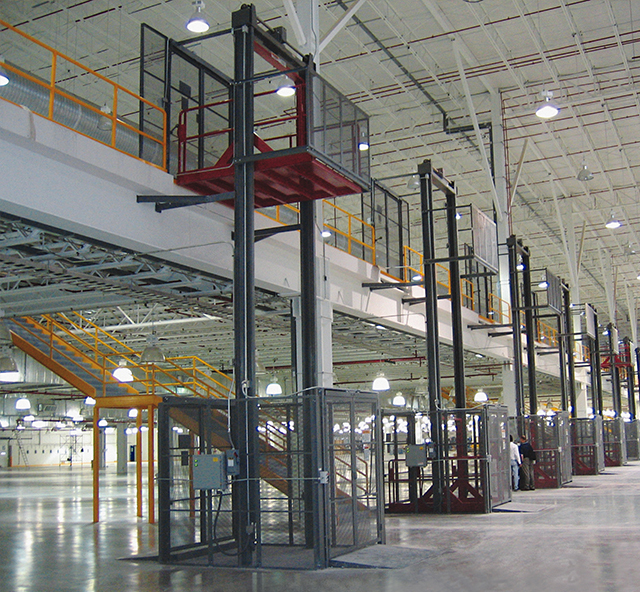 A loading dock with overhead crane service is preferred. 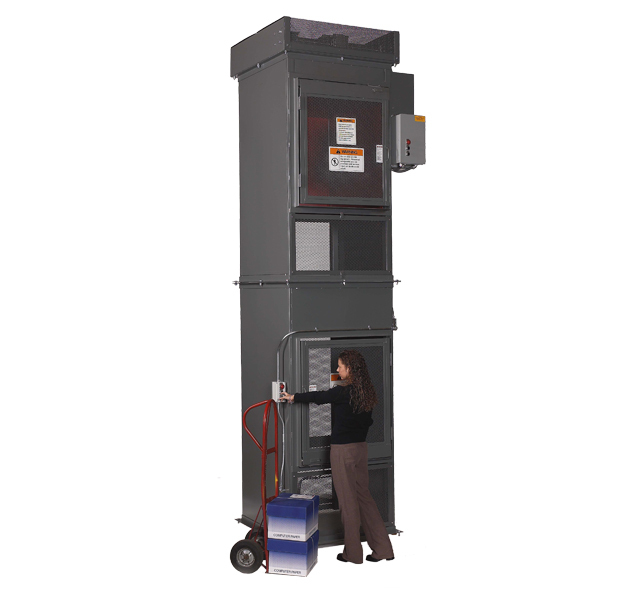 Contact Wildeck or your local Wildeck representative for certified installation service.